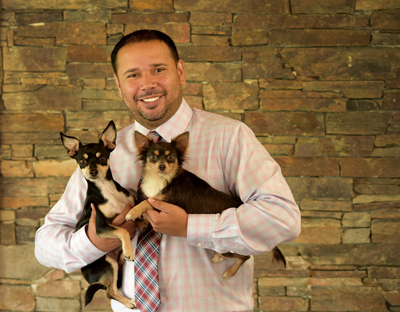 Jorge Ricardez has been with Clint Moore Animal Hospital for over 21 years. Jorge has worked in all areas of the hospital, and understands how to build, and maintain a highly efficient team. Jorge has created a team where Client services and satisfaction are the #1 goal. Jorge was born in Mexico City before moving to South Florida to further his education. He is a father of three and a devoted husband. He enjoys sports such as soccer, biking and running. 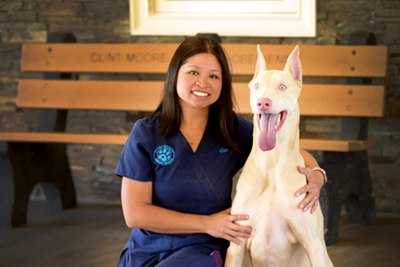 His passion for medicine, and client interaction has truly blended with Clint Moore Animal Hospital’s values. 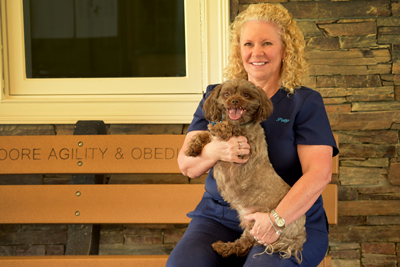 Patty joined Clint Moore Animal Hospital in 1993, and began her career working with animals as a kennel assistant. With dedication and commitment, Patty excelled and became a leader in her department. She provides care, compassion, and trust needed for the animals, and their families. She finds her job rewarding, and cannot imagine doing anything else. Patty lives in Boca Raton with her artist hubby Chris, her dog Toby, and her multiple cool cats. Patty enjoys baking and kayaking. Kelly Ford has been a part of the team since 1999. She is in charge of account management, and client services. Kelly loves spending time with her daughter, Alexis, and her family. She enjoys networking and finding creative solutions to complex tasks. She is the proud owner of 2 English Bulldogs, Cupcake and Angus. Kelly also has a love for birds and adopted a Cockatiel, Olaf and a Goffin Cockatoo, Forest. Van Sharp was born and raised in Boca Raton. 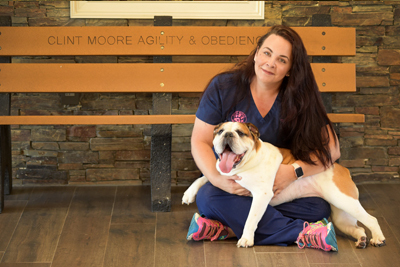 Her love for animals and commitment to providing the best customer service possible brought her here to Clint Moore Animal Hospital. Van has been our Kennel Manager since 2011. Her love and dedication to our hospital and our boarders brings our facility above and beyond all others. Van and her husband have 2 children and 4 dogs, including Chopstick, a white Doberman Pincher.